This episode is the third installment or our SHWEP Pythagorean trilogy, but it’s different from the first two. The first two aimed to discover a basic knowledge of the historical Pythagoras and the historical Pythagoreans, respectively, before these figures were overlaid with centuries of Platonising re-interpretation and a rich fund of legendary stories. This episode embraces the mystique, the legend, and the stories, examining the late-antique figure of the ‘Pythagorean’ philosopher and his practice of silence. We examine three stories about Pythagoreans found in late antique stories, concentrating on the depictions of the power of silence as a kind of speech which is in effect greater than actual verbal utterance. In the process we take some time to reflect on the significance of this theme of ‘silence as logos‘ for esotericism more generally, and on some of the forms of social capital which can accrue to those who possess ‘secret knowledge’. Thanks to Andy Letcher for the ‘don’t spill the beans’ pun. Priceless. Casel, O., 1919. De philosophorum graecorum silentio mystico. A. Toepelmann, Giessen. 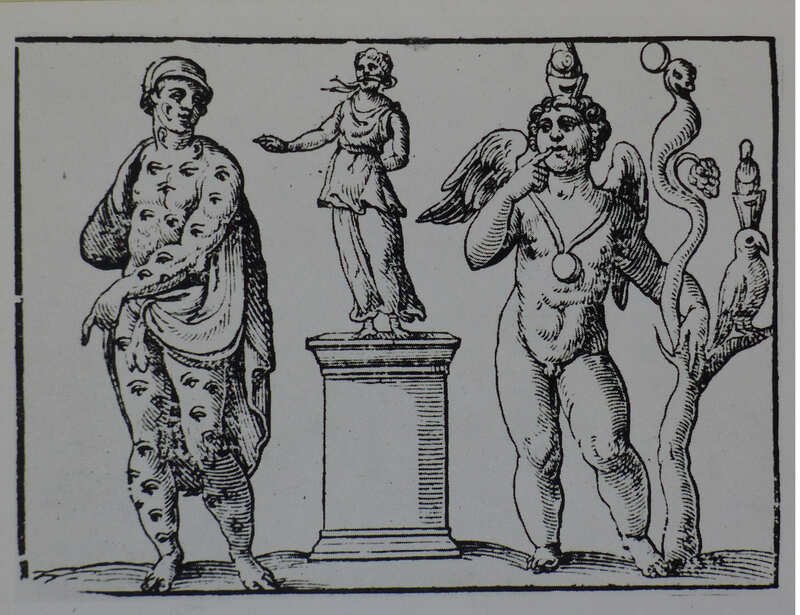 P. 53: Tot vero locis de silentio Pythagoreorum garruli illi scriptores verba faciunt, ut paene nauseam moveant. Iamblichus: Dillon, J. & Hershbell, J. (Ed. ), 1991. On the Pythagorean Way of Life. Scholars’ Press, Atlanta, GA. Citing Chapter 31. Isocrates: Norlin, G. (Trans. ), 1980. Isocrates with an English Translation in three volumes. Harvard University Press, Cambridge, MA. Citing pp. 28-29. Philostratus: Jones, C. P. (Ed. ), 2005. Vita Apollonii Tyanæ. Harvard University Press, Cambridge, MA/London. Porphyry: Des Places, É. et. al. (Ed. ), 1982. Vie de Pythagore. Les Belles Lettres, Paris. Secundus: Perry, B. E. (Trans. ), 1964. Secundus the Silent Philosopher. American Philological Association, London and Beccles. Thanks to Professor Daniel Ogden for turning me on to Secundus. Pythagorean silence is taken as proverbial by Isocrates (Busiris 29) and the comic poet Alexis (ap. Porph. V.P. 10). Aristotle, in a fragment transmitted by Iamblichus, states that the famous doctrine that there are three types of rational beings – gods, men, and Pythagoras – was among their `very secret’ (τοῖς πανὺ ἀπορρήτοις) doctrines (Ar. fr. 192 Rose = Iamb V.P. 31). Aristoxenus, writing around the same time, also states that Pythagoras had esoteric doctrines (μὴ εἶναι πρὸς πάντας πάντα ῥητά: fr. 43 W = D.L. 8.1.15). Bourdieu, P., 2010. Distinction: A Social Critique of the Judgement of Taste. Routledge, London/New York, NY. Dewald, C. (2002). ‘Silence in Greek Culture’, Classical Review 52 : 36-37. Montiglio, S., 2000. Silence in the Land of Logos. Princeton University Press, Princeton, NJ. Mortley, R., 1986. From Word to Silence. Hanstein, Bonn. Petit, A. (1997). ‘Le Silence Pythagoricien’. In: Lévy, C. & Pernod, L. (Ed. ), Dire l’Évidence, L’Harmattan. Poster, C. (1998). ‘Silence as a Rhetorical Strategy in Neoplatonic Mysticism’, Mystics Quarterly 24 : 48-73. Scarpi, P. (1987). ‘The Eloquence of Silence: Aspects of a Power Without Words’. In: Ciani, M. (Ed. ), The Regions of Silence: Studies on the Difficulty of Communicating, J. C. Gieben. Urban, H. (1998). ‘The Torment of Secrecy: Ethical and Epistemological Problems in the Study of Esoteric Traditions’, History of Religions: 209-248. Urban, H. (2005). ‘Religion and Secrecy in the Bush Administration’, Esoterica 7 : 1-38.
von Stuckrad, K., 2000. Western Esotericism: A Brief History of Secret Knowledge. Equinox, London.